The Chief Executive of the Islamic Republic of Afghanistan today praised and appreciated the efforts and work of doctors and health staff. 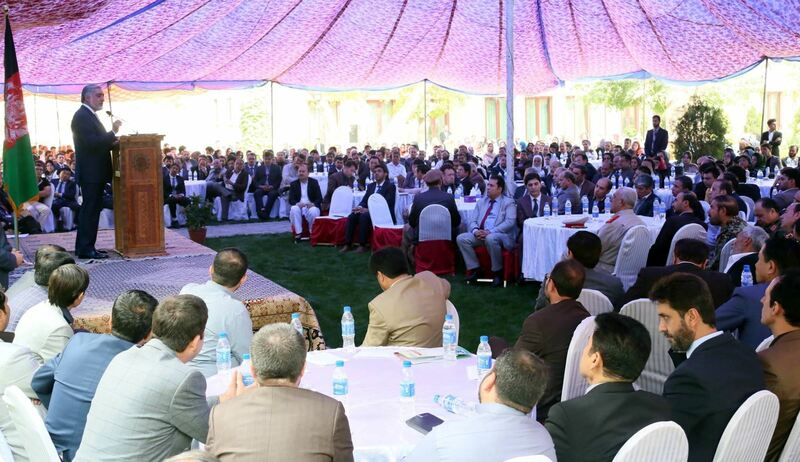 In this program which was held at the Sepidar Palace, in the presence of Deputy Chief Executive, Minister of Public Health and hundreds of doctors and health staff, Dr. Abdullah said no one can ignore the tireless work done by the Afghan health staff. At the outset, hospital specialists and officials of Doctors' Trade Unions shared the challenges and problems of the public health department with the Chief Executive. Based on the statements made by hospital specialists and doctors, lack of funds, heavy taxes, low salaries, lack of immunity, shortage of personnel and beds in hospitals, and the import of low-quality medicine are considered the main concerns and challenges of Afghanistan’s public health staff. 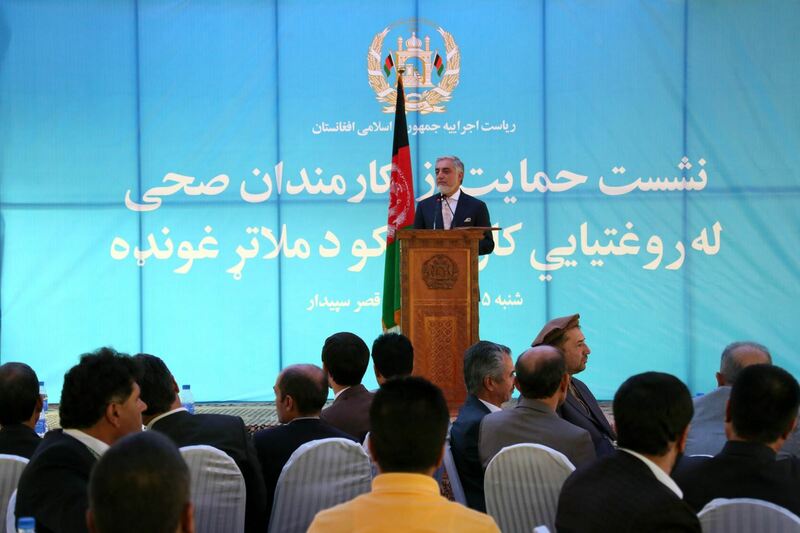 Then, Dr. Abdullah said the aim of launching this program is to appreciate your inexhaustible work in health section. According to some participants’ opinions that people and government have negative attitude towards doctors, the Chief Executive said the government and the people of Afghanistan would appreciate your hard work at difficult circumstances. Dr. Abdullah reminded forming a health committee within the framework of the Council of Ministers as an action to address the health problems and added that the Ministry of Public Health, in coordination with Unions of Doctors and health sector experts should identify the challenges and shortcomings, and in the Health Committee of the Council of Ministers discuss them and find ways to resolve them. The Chief Executive considered bribe an intolerable action for processing doctors' doctorate and emphasized on transparency in this section. Dr. Abdullah called for impunity of public health workers, saying that doctors should not be prosecuted for "inevitable mistakes". The Chief Executive insisted on the "capacity building " of public health staff and directed the Ministry of Public Health to develop a capacity building plan for health workers to carry out this job. Dr. Abdullah said there is no health insurance in the country and the cost of treatment is very high; therefore, work should be done on the standardized and low-cost health services. The Chief Executive expressed satisfaction from being among his fellow practitioners and told health workers that they should concentrate on prevention rather than on treatment. Dr. Abdullah added delivery of appropriate health services would have a direct impact on development, social and economic growth, peace and stability in the country.